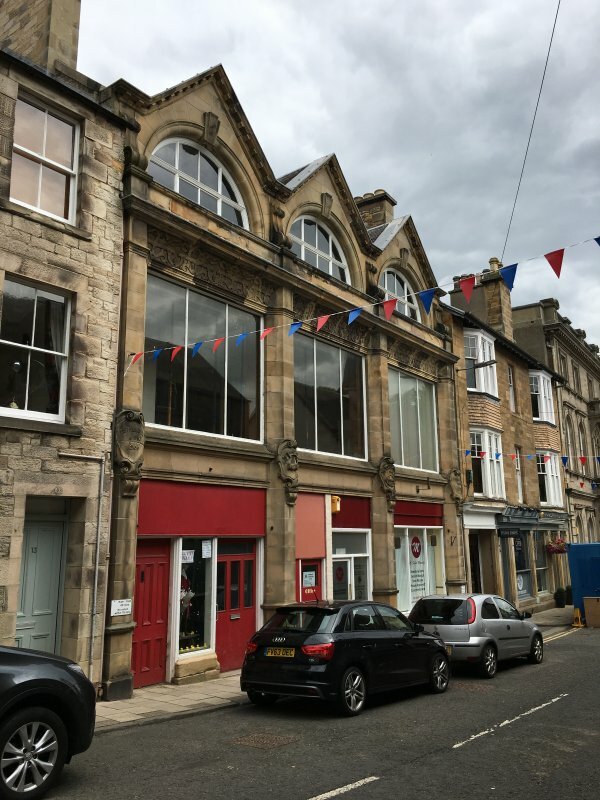 Symmetrical 2-storey and attic 3-bay commercial premises with Renaissance details of polished cream ashlar and glazed curtain wall. SW ELEVATION: ground and 1st floor divided by 4 giant chamfered piers on pedestals; base course at ground, moulded fascia between floors, entablature with deep caveto strapworked frieze (centre bay with PORTHOUSE overlaid on strapwork) and solid parapet above; escutcheons on each pier (reading in turn ESTABLISHED ANNO 1866, STRENU ET PROSPERE and ERECTED ANNO 1900) supported on small scrolled consoles flank shop fascia at ground. Bays filled by plate glass windows in timber frames divided vertically into 3; those at ground altered. Attic with 3 identical gableheads with dentilled eaves and zinc coping, divided by inverted scrolled consoles resting on dies of parapet; each gablehead filled by lunette with roll-moulded architrave and keystone. 8-pane timber glazing with casement windows. Rubble stacks with ashlar facings and coping. Grey slates. INTERIOR: unseen 1992 but evidently much altered. 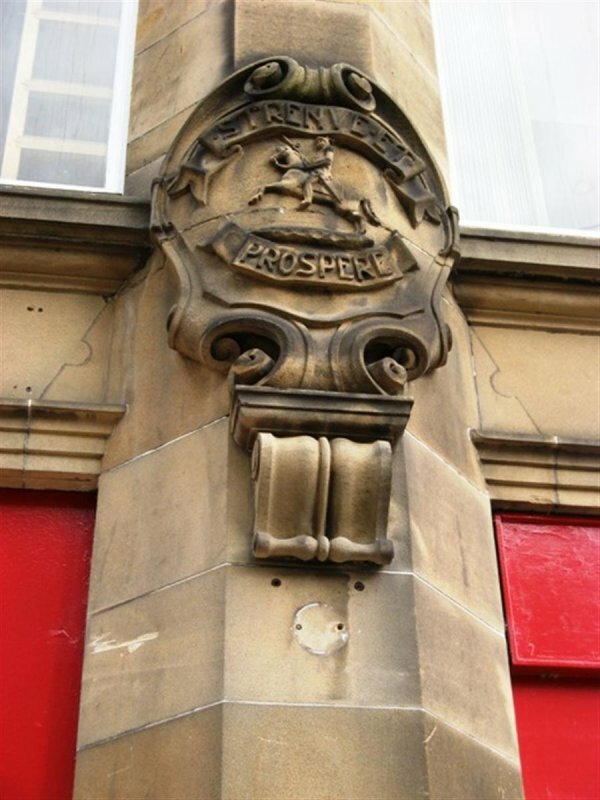 Built for the Co-operative Society at a cost of £2,105. The glazed areas are exceptionally large for the date. August 2011: External inspection finds this fine building in generally sound condition but empty. 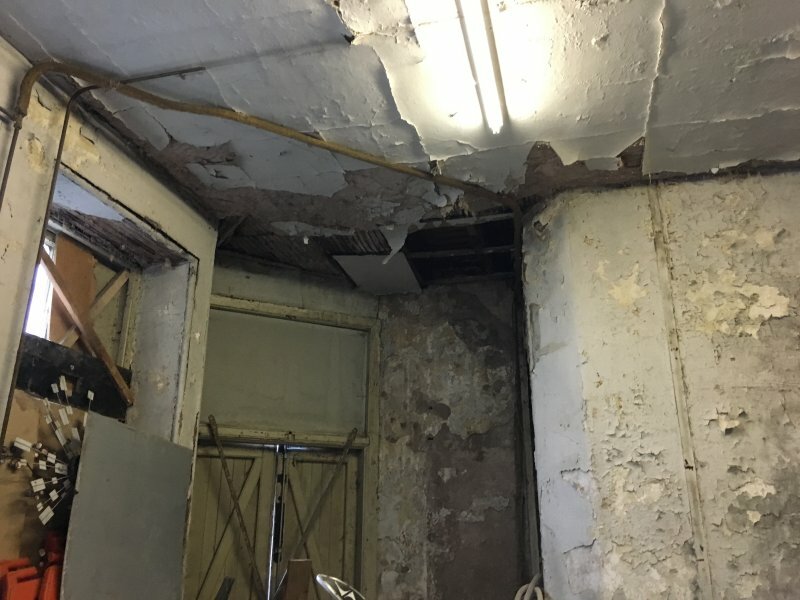 The first floor showroom has props internally, suggesting problems with water ingress. 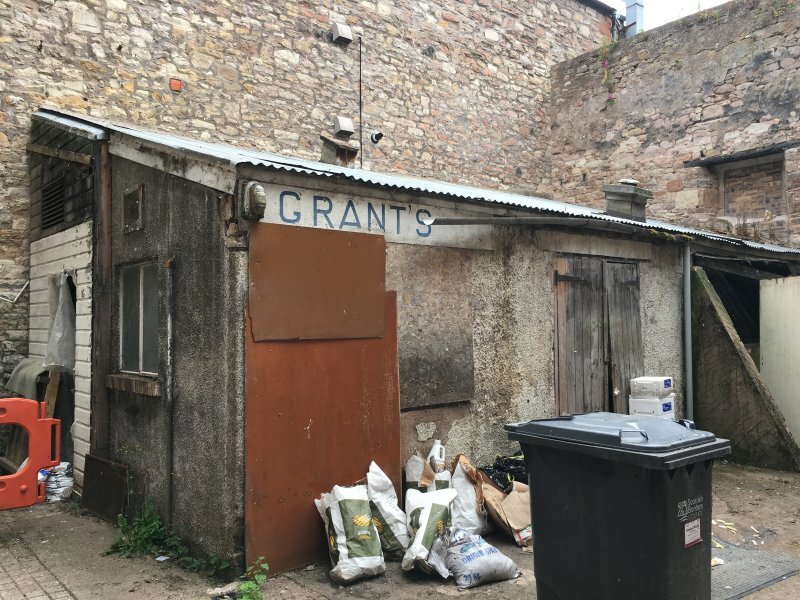 A warehouse exists to the rear in a poorer condition. 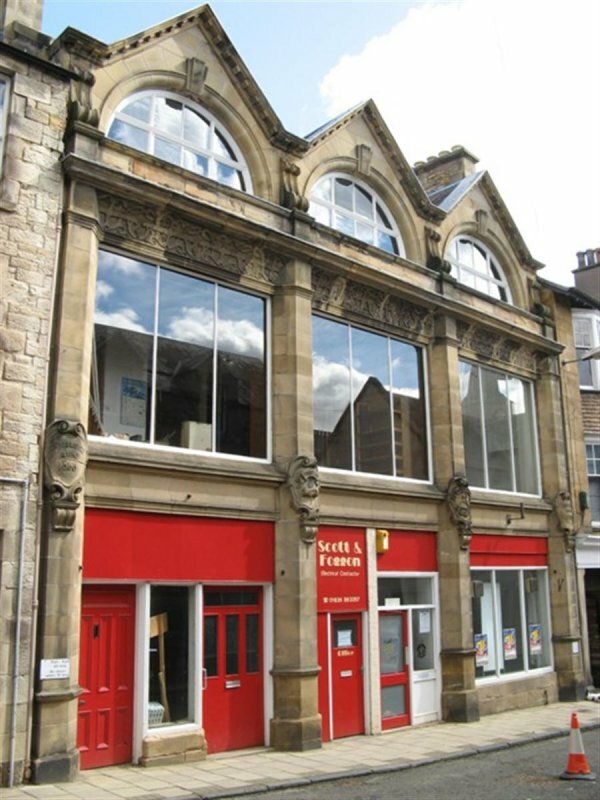 An article in The Southern Reporter from April 2010 reported ownership of the building had been secured, by the Jedburgh Community Trust, with financial aid from the Town Centre Regeration Fund. The funding was also financing some renovation to the roof and other repairs. 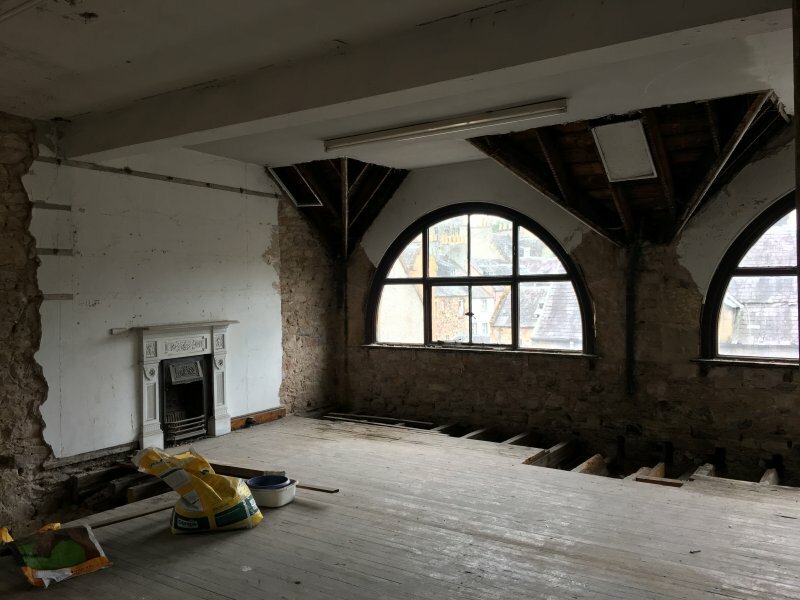 The article also noted the Community Trust is to seek further funding to enable the full renovation of the building for the community and local businesses to use. 8 January 2013: Local planners report the building remains At Risk. 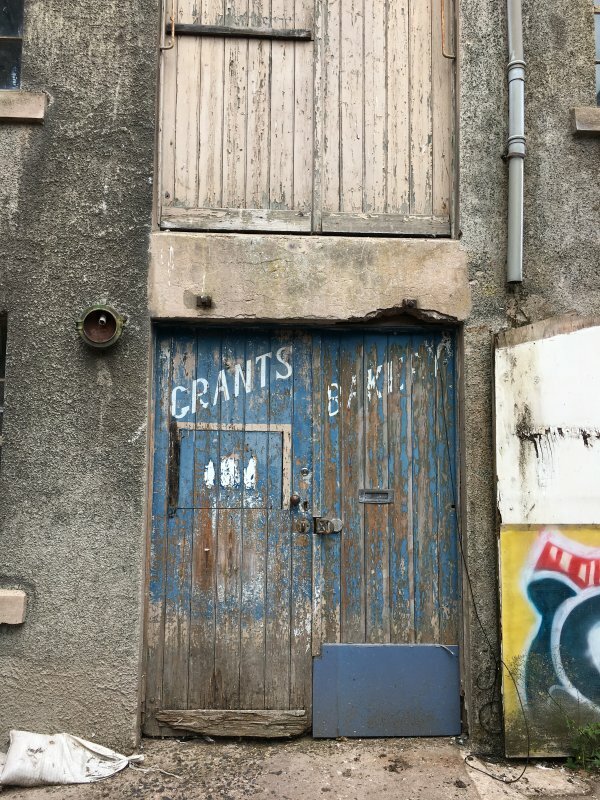 3 April 2013: The Southern Reporter notes that the Jedburgh Community Trust has launched a community consultation on ways in which the building could be brought back into use to best benefit the local community. 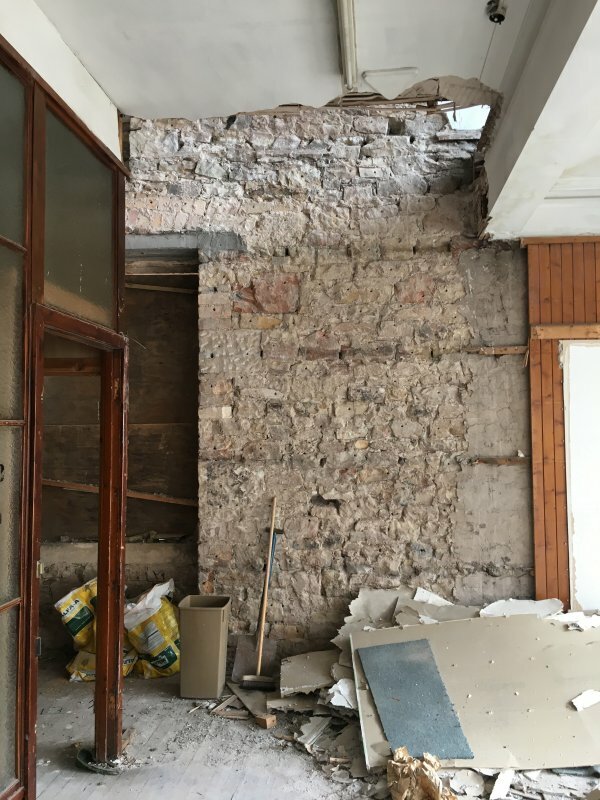 26 May 2016: External inspection finds one of the ground floor retail units in use, otherwise the property is disused. 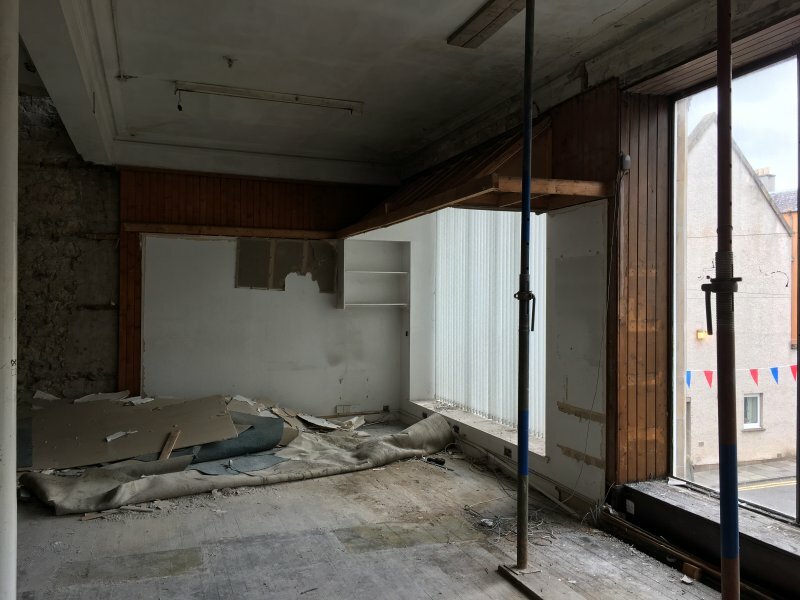 Overall the property remains in good condition. 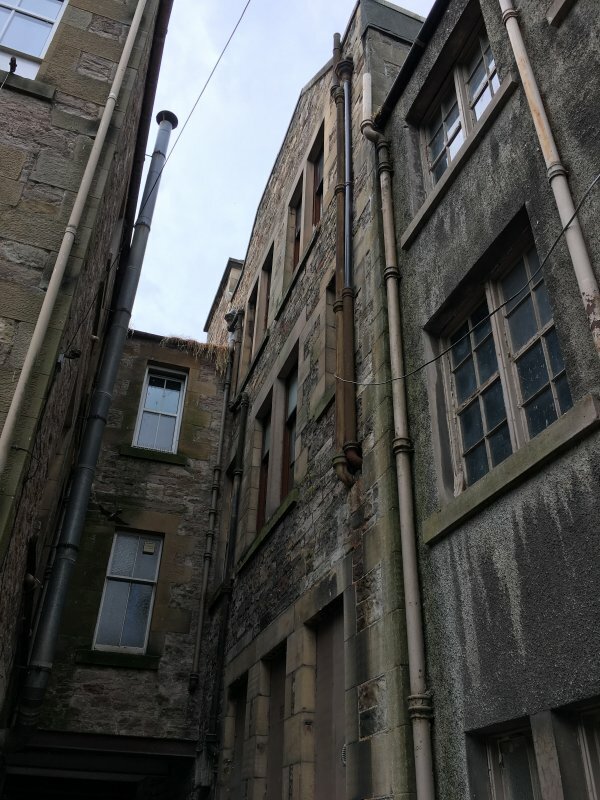 18 July 2018: External inspection finds no significant change to the external fabric of the building from the previous site visit. 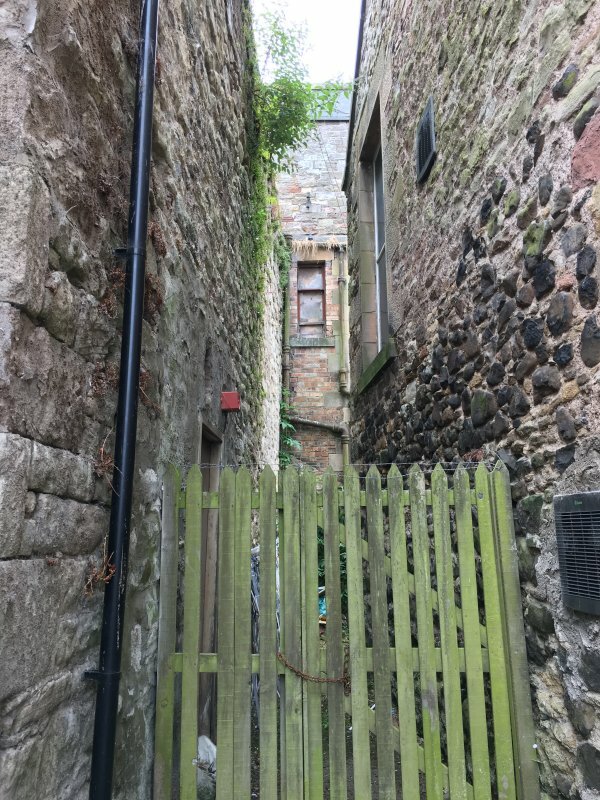 There is one broken and boarded up window at the rear visible from Grahamslaw Close. 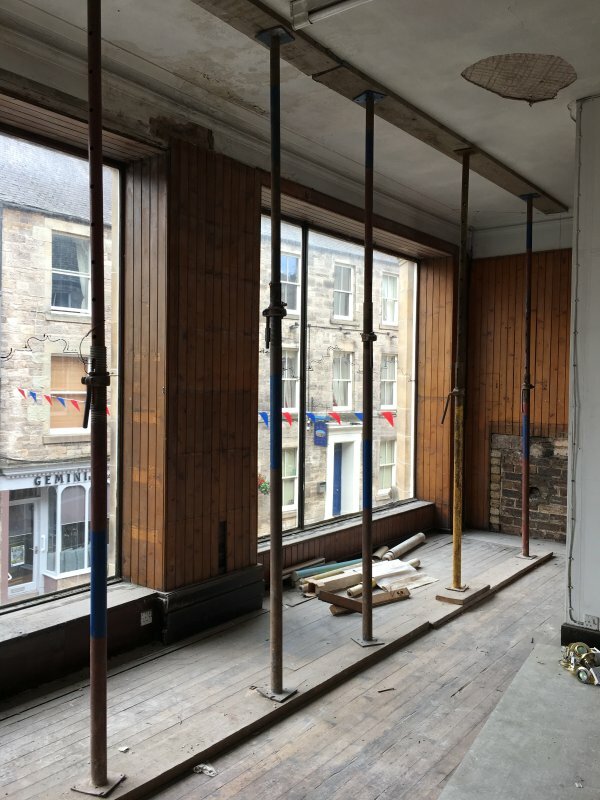 Permission was granted to view and photograph the interior of the building by a member of the Jedburgh Community Trust who are owners of the site. Props are still in place in the first floor showroom. Treatment of dry rot has been completed. Ground floor unit at 11a is in use as a remedial and sports massage clinic. 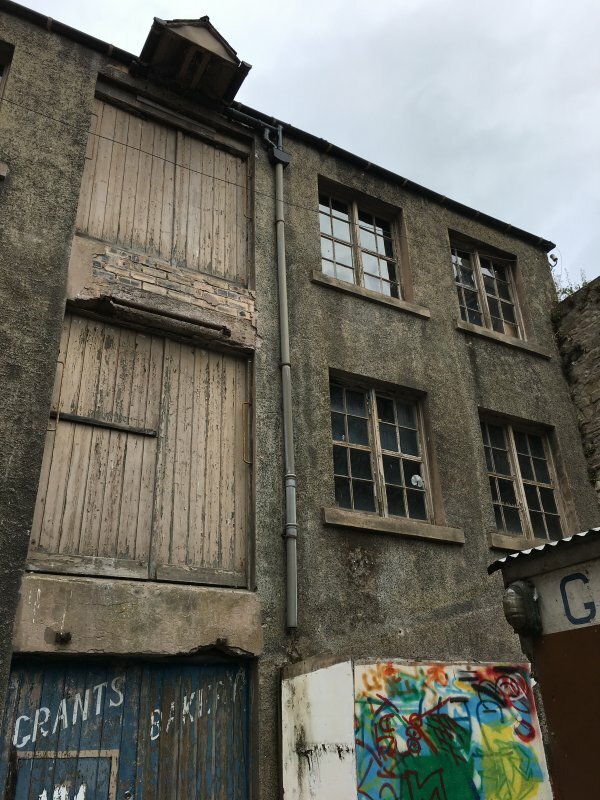 The 3-storey warehouse to the rear is in a poorer condition than the main building.